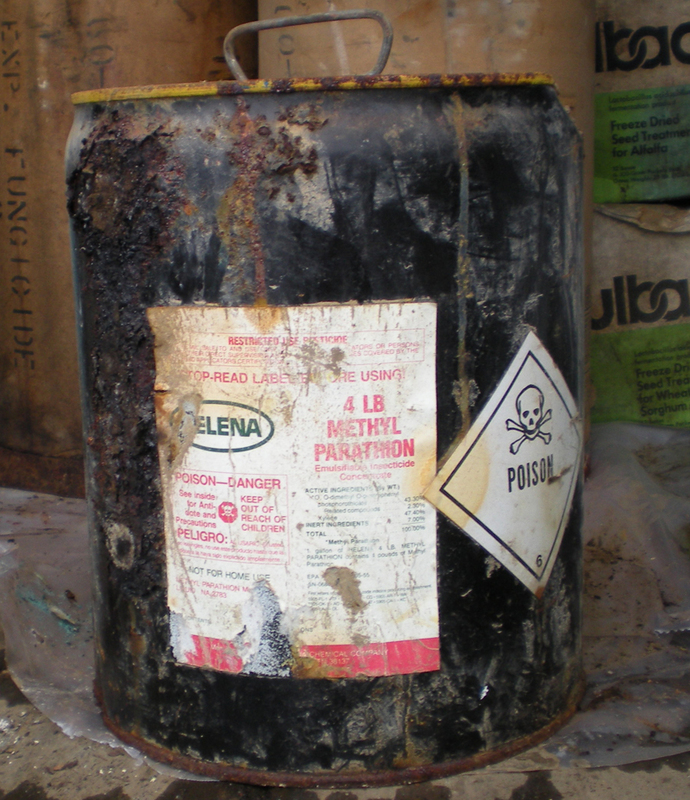 Do you need to dispose of old pesticides? Take advantage of this free opportunity to safely and anonymously dispose of old and unusable pesticides. 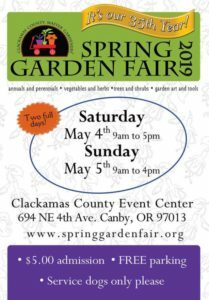 This collection event is for agricultural producers in Washington and Clackamas Counties. You must pre-register with the disposal service by January 31, 2014, so they are prepared to receive your chemicals. Pre-register using the anonymous registration form. Complete and send application by mail, fax or e-mail to Clean Harbors Environmental by January 31, 2014. Do you have empty pesticide containers to recycle? You can recycle clean, dirt and residue free, triple-rinsed plastic containers. For triple rinse procedures see the Ag Container Recycling Council (ACRC) website and select the link for Container Rinsing. All size containers up to 55-gallon capacity plastic drums can be accepted. Containers need to be made from high density polyethylene (HDPE) and embossed with recycling symbol #2. No pre-registration is needed for dropping off empty,triple-rinsed pesticide containers, and there is no charge for this service. Old and unused pesticides can enter waterways through leaching, flooding, or runoff. Chemicals collected from the watershed and disposed of are removed as threats to water quality. Help protect drinking water and fish habitat by bringing your old and unused pesticides to this collection event for proper disposal. For more information on this event, see the Pesticide Collection Event brochure. This event is sponsored by Tualatin Soil and Water Conservation District, Clackamas County Soil and Water Conservation District, Oregon DEQ, Crop Production Services, OSU Extension Service, Join Water Commission, Clean Water Services, Tualatin River Watershed Council, and Oregon Department of Agriculture. On behalf of both soil and water conservation districts, we thank you for being good stewards of natural resources! Plant with us Along the Trolley Trail!